The 18-hole Briarwood Country Club at Sun City West in Sun City West, Arizona is a private golf course that opened in 1983. Designed by Greg Nash, Briarwood Country Club at Sun City West measures 6576 yards from the longest tees and has a slope rating of 128 and a 71. The 18-hole Deer Valley Golf Course at Sun City West in Sun City West, Arizona is a private golf course that opened in 1994. Designed by Billy Casper and Greg Nash, Deer Valley Golf Course at Sun City West measures 6547 yards from the longest tees and has a slope rating of 120 and a 69. The 18-hole Desert Trails Golf Course at Sun City West in Sun City West, Arizona is a private golf course that opened in 1995. Designed by Billy Casper and Greg Nash, Desert Trails Golf Course at Sun City West measures 4027 yards from the longest tees and has a slope rating of 91 and a 61. 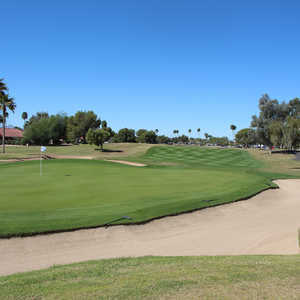 The 18-hole Echo Mesa Golf Course at Sun City West in Sun City West, Arizona is a private golf course that opened in 1985. Designed by Greg Nash, Echo Mesa Golf Course at Sun City West measures 4181 yards from the longest tees and has a slope rating of 91 and a 59. 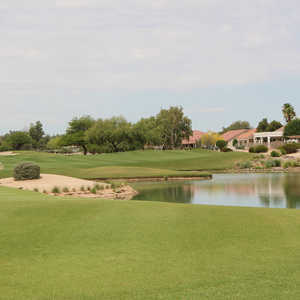 The 18-hole Grandview Golf Course at Sun City West in Sun City West, Arizona is a private golf course that opened in 1984. Designed by Greg Nash, Grandview Golf Course at Sun City West measures 6846 yards from the longest tees and has a slope rating of 126 and a 72. The 18-hole Stardust Golf Course at Sun City West in Sun City West, Arizona is a private golf course that opened in 1979. Designed by Greg Nash, Stardust Golf Course at Sun City West measures 4265 yards from the longest tees and has a slope rating of 89 and a 59. The 18-hole Trail Ridge Golf Course at Sun City West in Sun City West, Arizona is a private golf course that opened in 1990. Designed by Billy Casper and Greg Nash, Trail Ridge Golf Course at Sun City West measures 6566 yards from the longest tees and has a slope rating of 125 and a 71.